Retroviruses are efficient tools for delivering herita ble genes into the genome of dividing cells. Cell Biolabs’ retrovirus vector is based on the pBABE vect or system, which is derived from Moloney murine leukemia virus (MMLV). 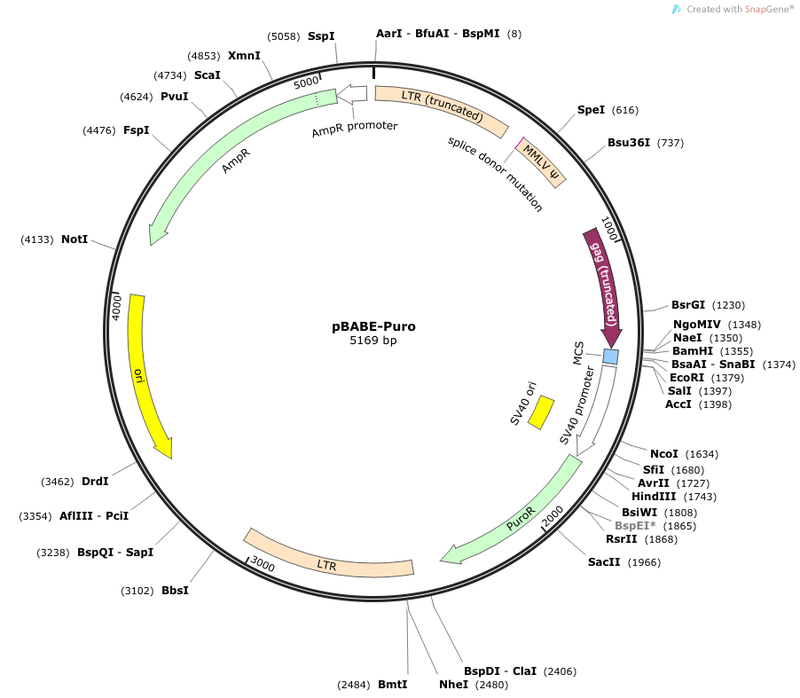 The vector provides the viral package signal, transcription and processing elements, and a target gene. The viral env gene, produced by the package cell line, encodes the envelop protein, which determines the viral infectivity range . Transfection into a package cell line produces high- titer, replication-incompetent viruses. In addition to transfer and expression of exogenous genes in mammalian cells, recently, retroviruses are used to express silencing RNAs (siRNA) to decrease the expression of target genes both in vitro and in vivo .